In the shadow of the Moses Mabhida stadium which honours the great Moses Mbheki Mncane Mabhida, who helped forge and maintain the United Front that eventually saw the creation of a democratic and non-racial South Africa, sits the Durban Country Club, which was established in 1922 and in a way symbolises the old South Africa. George Waterman designed and built the course with fellow professional golfer Laurie Waters, who was a four times winner of the South African Open. All earth-moving had to be done manually which was some feat, considering giant sand dunes were flattened, dense bush and trees chopped down in the process to bring this wonderful golf course to life next to the Indian Ocean. The signature third hole a 512-yard par 5 is played from the highest point on the course, overlooking the Indian Ocean. Firing your tee shot to a valley below with the wind from the ocean forming a major hazard, along with the trees on the right and a large fairway bunker that sits in the landing area… Most golfers don’t make use of their drivers until well into their round due to the narrowness of the opening holes. Durban Country Club is a shot makers course that has hosted the South African Open 17 times, including the centenary South African Open in 2010. 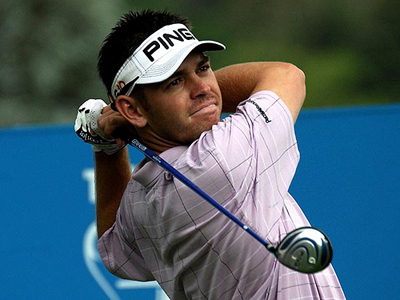 I think Louis Oosthuizen 9/2 will be a player to watch this year after just missing out on picking up his second major at last years Masters. Louis finished last season well, bagging four Top 10 finishes in his last four European Tour events, the lowest being two sixth place finishes and the other two were inside the Top 5. He also had a runners up spot at the Barclays Singapore Open which we had tipped him to win. It was at this tournament last year that defending champion Branden Grace 12/1 won his second event on the spin, which then saw him go on to capture two other tournament victories, winning the Sunshine Tour order of merit and was 6th on the Race to Dubai. 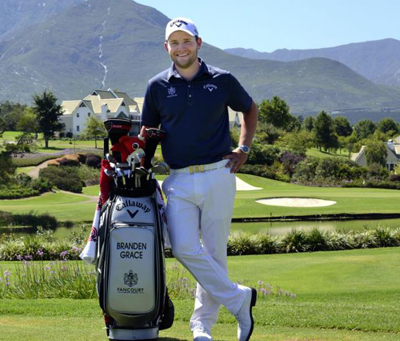 This could be a defining year for the lad from Pretoria, but will he take that step up to major success? He has proven he has that winners mentality and I believe he will be challenging for major honours this season, I actually think it could be a very good year for South African golfers. I think Bernd Wiesberger 33/1 is another player who can do great things this year. The two time winner on last years tour nearly had his professional golf career ended before it even got started with a skiing accident in 2003, when he broke his collarbone. Apart from his victories Bernd had eight other Top 25 finishes, three of those were inside the Top 10. I must admit I was surprised to see Jbe Kruger 80/1 this far down the betting odds playing on home soil. Jbe is here because of last years early season win at the Avantha Masters shooting in the 60s for his final three rounds. It was a bit of a patchy year after that win with five Top 25 finishes. He didn’t really kick on after his win in Delhi, but I think he will start to push on this season. Nice review! What do you think about Ernie Els, playing on home soil and with a great last year´s performance? 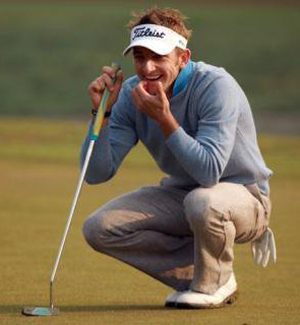 Ernie has always been a great ball striker, but putting is part of the game that time really does have an effect on. He needs to make the most of the next couple of years with the belly putter, because once that ban comes in to force, I think that will be the end of his renaissance. As for playing on home soil, sometimes that can add more pressure than some players can handle, but it seems Louis Oosthuizen is on a mission this year. Look for him to go very close in a couple of majors again this year.